Me and the fam just returned from a 1 week trip to Nicaragua! We had some friends who helped advise on where to go and some of the arrangements, but it was a bit of a last minute trip since we booked it only 3 weeks out! 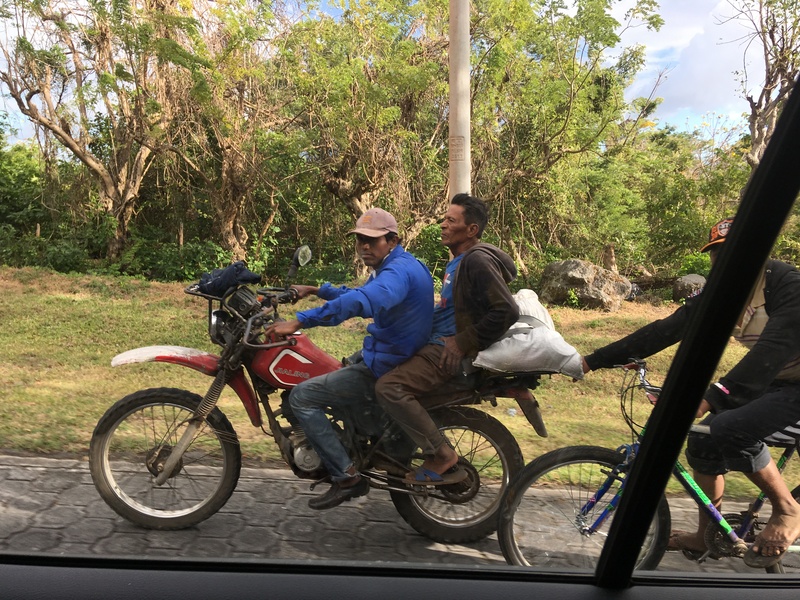 Fortunately I had a ton of airline miles to use and that helped, but I have to say, its not cheap to fly from the Midwest to Managua, Nicaragua. Once you get there though, its extremely cheap travel. Actually, we met and saw many backpackers on our travels – mostly European and Canadian. We were advised to have a driver (by some acquaintances who have family there), and at the minimal extra cost, we decided to get one. However, he didn’t speak a lick of English (which we were not told in advance) and we did a poor job of brushing up on our Spanish before this shortly planned trip, so communication was challenging to say the least. We relied heavily on our dictionary and Google translator app! But even then, we had a really hard time understanding, more than ever before (have traveled to a number of Spanish speaking countries in years past). The only thing we can figure is that he was from an area with a different accent than we are used to. Not sure, but it forced us look up words, practice, and write out what we wanted to say in advance. I have a strong appreciation for language and have always wished I had more of a natural ability to learn language and also that I had started much much younger! By the end of the week, I felt like we had made some progress, immersion works people! This was MAJOR motivation for me and my husband to work on it over the next year and we are going to have competitions on Duolingo to see who can keep up their streak the longest! So on our trip, we flew into Managua, picked up the rental, groceries and had dinner and then drove all of the way to the Pacific coast (approx 3 hour drive w/ traffic). Traffic was thick and at night it was difficult to navigate the roads if you didnt know where to go, which made is glad we had a driver for that leg of the trip. However, after getting a lay of the land we are sure we could have done it w/ a GPS and if we drove it in the daytime. 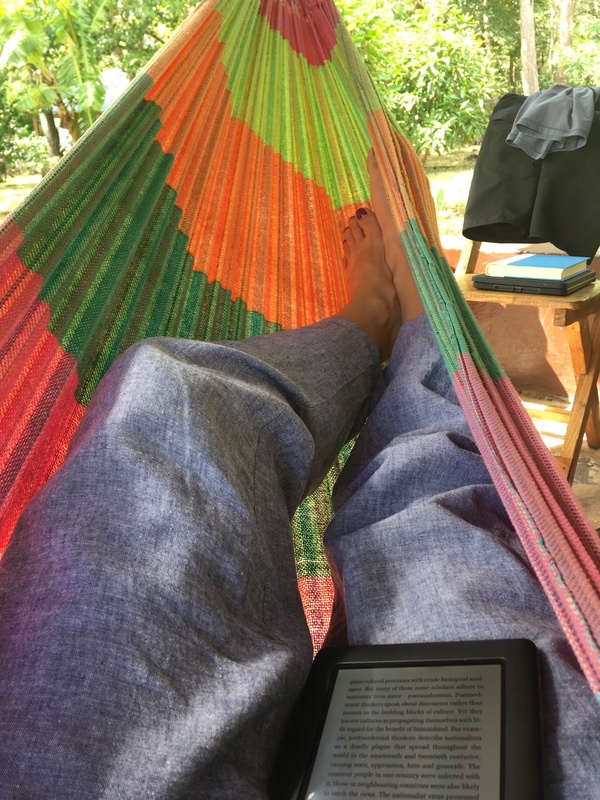 It was a brutal day after catching a 5:45am flight and we didnt get to the beach house in Playa El Coco until around 7:30pm at night. Our (almost) 4 year old was a trooper though. He handled it all like a champ and we were super impressed with how much easier he is to travel with these days. I had new (cheap) toys lined up for the trip for him to open up as we went through the day as well as lots of cartoons and movies and of course loads of snacks and a sweet treat for him! He was truly amazing! We got to the house after dark, so just settled in for the night and got to bed early, but woke up to a beautiful view of the ocean! 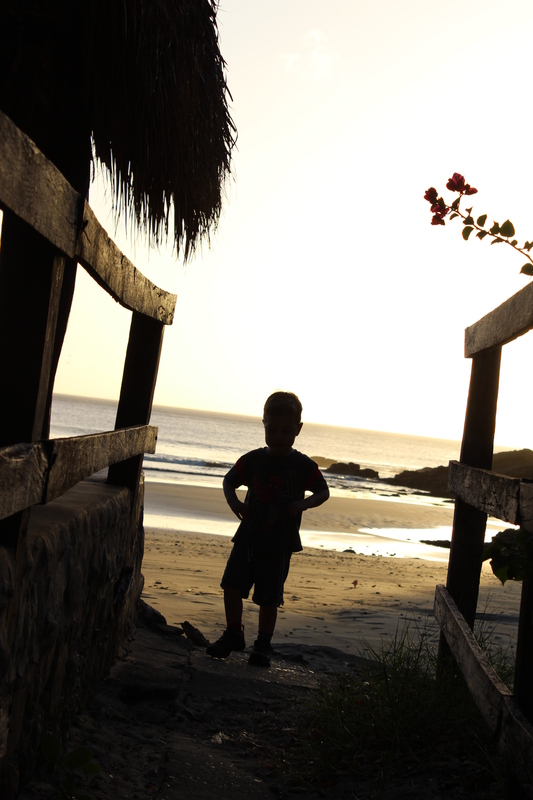 Playa El Coco is really a small beach with mostly private homes and so very quiet and not crowded at all. It was really relaxing. Our house also had a pool, which was super fun for all of us. 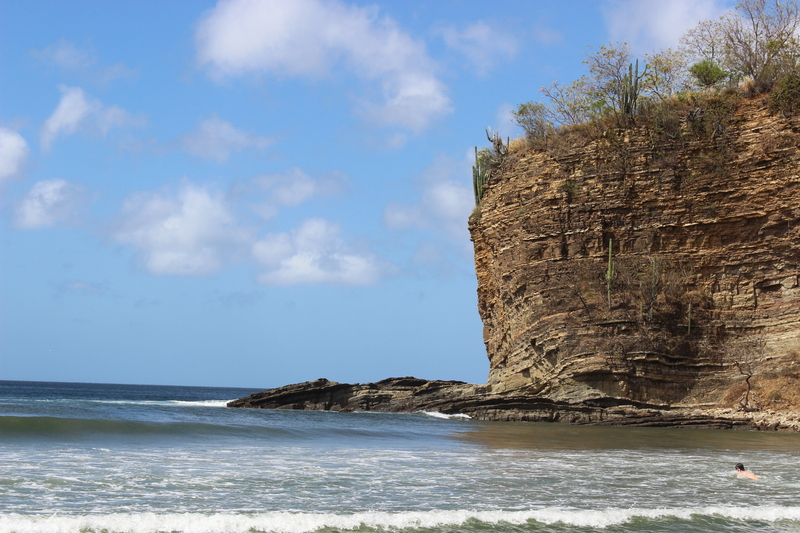 We mostly ate at the house, but one day went into Playa San Juan del Sur to eat lunch. We had lunch right by the water and it was beautiful and relaxing. 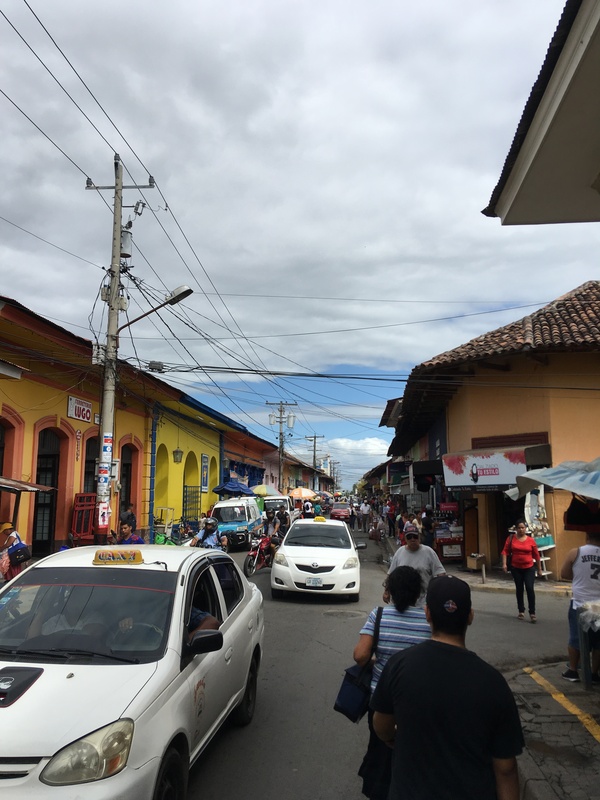 San Juan del Sur had a cool beach town vibe and with a bit more hotels and resorts. I say resorts, but mind you we never saw any truly big resorts. Im sure they exist, but they are not very common. We got the feeling that in general this area does not cater to the all inclusive crowd, but more of your independent explorer type – like us. 🙂 My husband ordered lobster, and I wish I had taken a photo b/c for $20 he got FOUR lobster tails on his plate! I had some pork ribs which were barbecued and perfectly fatty (staying keto). I skipped the rice and had a little side of cooked veggies. Speaking of staying keto. The main way I did this was I traveled with my MCT oil powder, collagen packs and coconut oil. I had a fatty coffee every morning and eggs and sometimes a 1/4 cup of rice and beans (just cause I couldn’t pass up the authentic stuff). I stayed satiated through lunch. I focused my meals around meat and topped any lean meats with coconut oil before eating. I definitely ate a little fruit and a few bites of carbs here and there, but I actually felt really good. No digestive issues and I think I even came home a hair leaner! It was much easier than I expected to stay keto while traveling. I also had lots of good snacks for the travel days including nut butter packs, meat sticks, and some Bulletproof bars (which are actually quite good). If you are traveling, go into it prepared and do your best but dont stress about it. I still felt totally fat adapted when I got home. No adjustment needed. 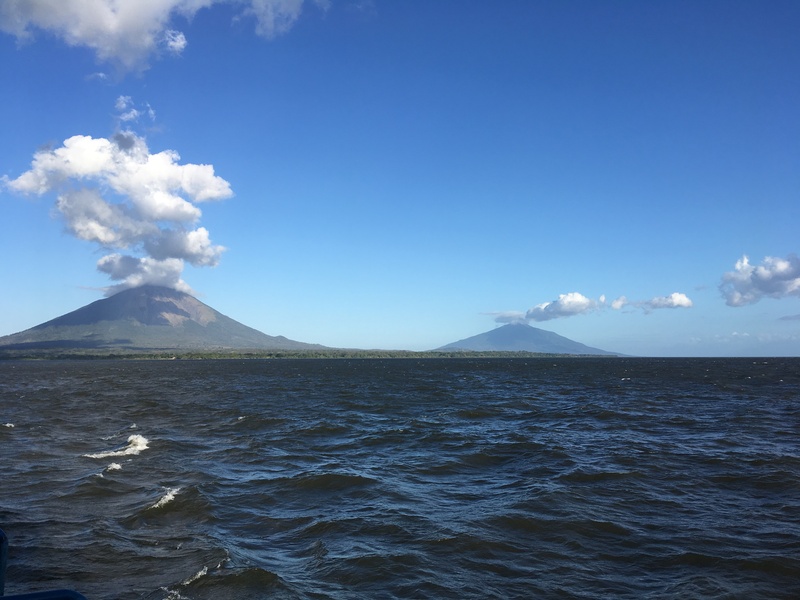 After a few nights at the beach, we headed to San Jorge to catch a ferry to Ometepe Island. We thought we had communicated that we needed the driver to make a ferry reservation clearly enough (Ill spare you the details) but apparently that was NOT the case. We arrived at the ferry to find out that we had no reservations – not for us or the car. So, what do you do? Bribe the port authorities of course! 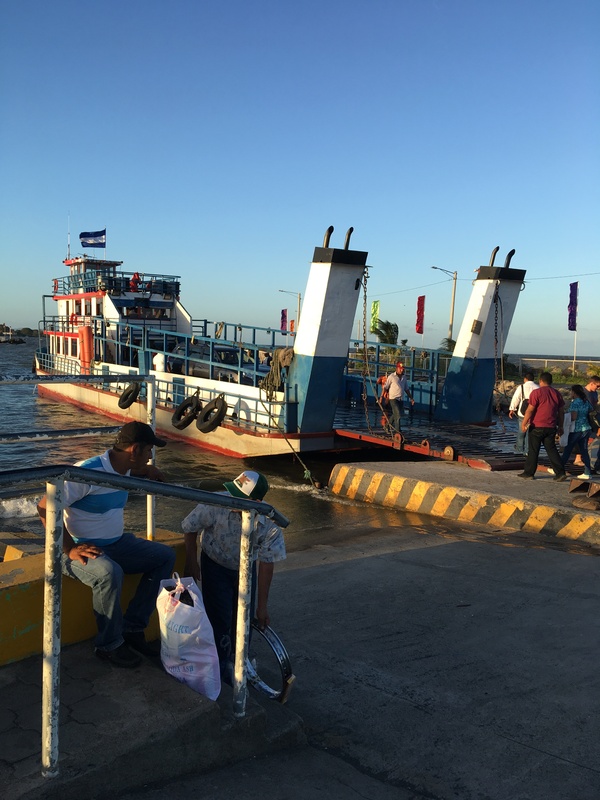 Money talks in Nicaragua and for only an extra $25 we got on the ferry! We are all excited and get in line and then we sit…and sit…and sit for 3.5 hours b/c high winds end up canceling two ferry runs! So when we finally get on the ferry, there are about 3 boats worth of people crammed on one boat! It was interesting to say the least. It was also rough and wavy waters and we got a seat on the top deck. The tot was exhausted by then and as soon as he laid across me and my husbands legs, he totally passed out and slept for the hour and 15 min journey to the island! Magic! When we get to the island, my husband offers to drive, and the driver says yes. We later find out he didnt really even know his way around the island (not that it was too complicated) and we really should have just done the rest of the trip on our own. Lessons learned. Anyway, we didnt realize just how off the beaten path our hotel was. We didnt get our first pick b/c of the last minute reservations; however, I found a super cute place with private huts and a restaurant that looked magical. 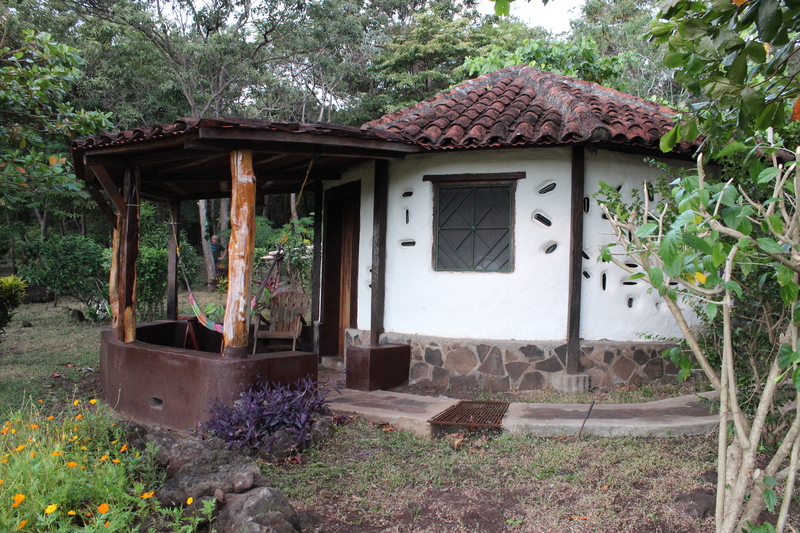 Its called Finca Mystica and is run by an American couple. Getting there involved driving on a pretty rough dirt road for 20 minutes and then up their driveway which was like off-roading! SO glad for the 4WD Toyota rental! I was laughing by the time we got there b/c it was just comical. The typical way around the island is on rental scooters and we saw numerous couples on scooters WIDE eyed and white knuckled just trying not to crash on this road. Lots of hitch hiker backpacker types and lots of locals walking or biking. We saw many very poor homes and communities (not just on the island but throughout our travels). I found the arrangement of their communities fascinating though. 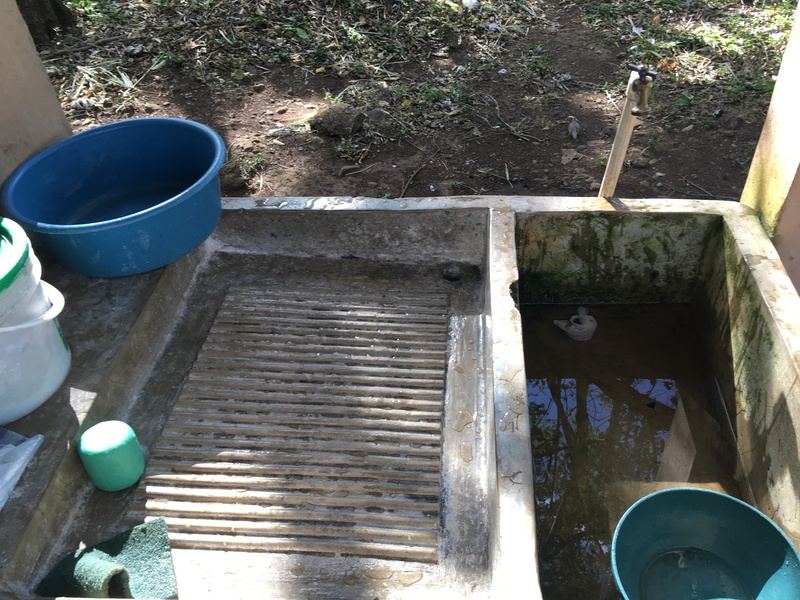 They typically had one water source which was in the middle of a group of very small block wall homes (some with dirt floors others appeared to have concrete). This area seemed to serve as the communal area that people hung out at and then the houses were only used mainly for sleeping and most likely cooking. Clothing was washed on old school wash boards built into their sinks or on rocks at the edge of the lake. Strangely enough, even our hotel on the island manually washed their laundry. They only had 4-5 huts, but you would expect with all of the towels and sheets they would have a washer. Also, you can forget about a hot shower. We didnt have hot showers until our last two nights there. Neither the beach house or the island had hot water. It didnt bother us much but really made us appreciate the amenity of hot water to shower! I literally saw an ox cart on the island. 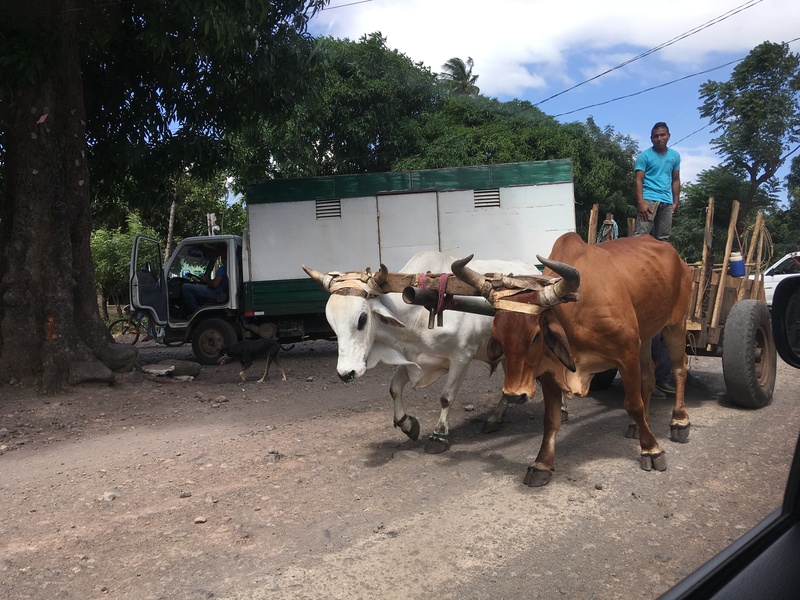 There were lots of wooden carts pulled by horses that we saw throughout our travels – right next to cars and motorcycles and cyclists. 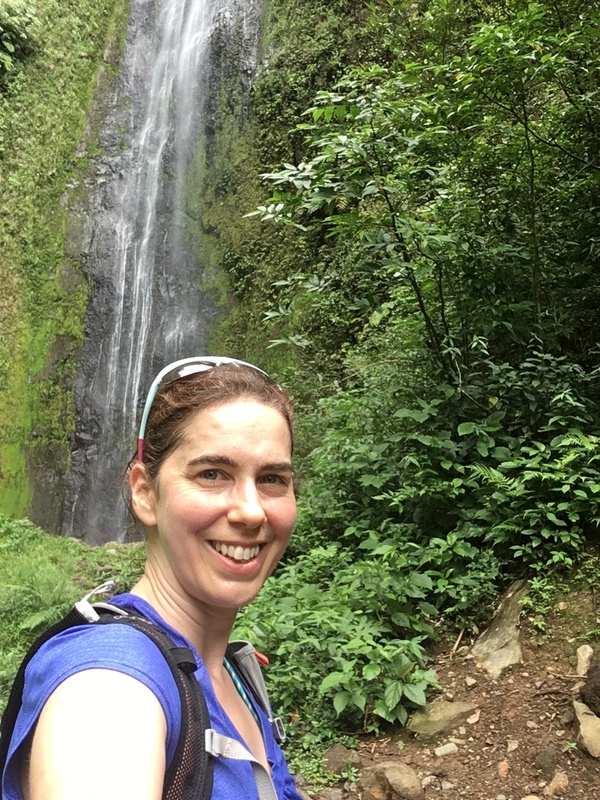 We had a wonderful waterfall hike, great meals and socialized with some interesting folks while at Finca Mystica. I wish we had stayed a third night. The ferry trip back was much less eventful. We went on to check out Granada (north from San Jorge) which is an older Spanish style town. Very cool with lots of restaurants and night life. I could have spent a whole day taking photos of the architecture. It was beautiful. *We picked up 3 French girls who were hitch hiking on the island back from the waterfall hike to their hotel. Fun to chat with them. They were on a 3 month trip through Central America. * Impressed by a family from Vermont that were staying at Finca Mystica with their 4 yr old and 6 month old! 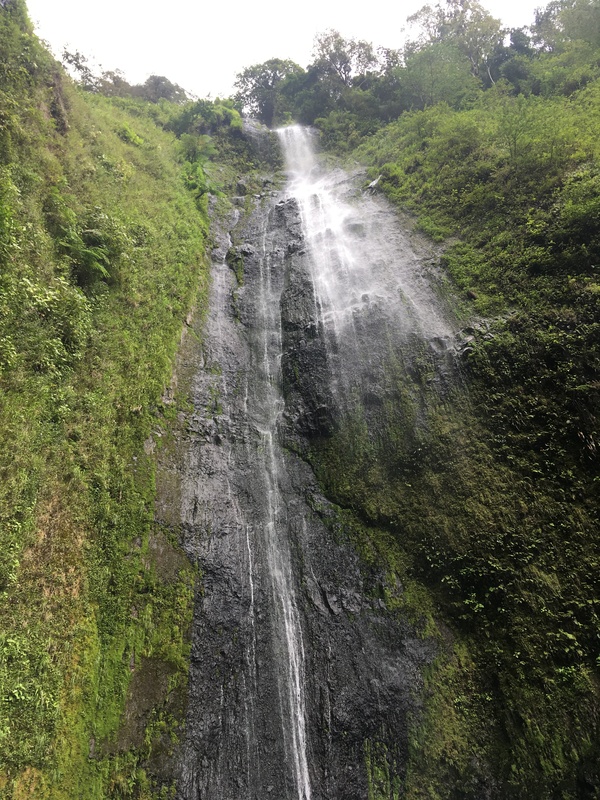 And also did the waterfall hike! * I literally saw an ox cart (above). I got a thumbs up from the driver! * Best of all I saw a mother and child riding a legit horse cart while she showed him something on her smart phone. Old world meets new technology! I wish I had a chance to snap a photo of that! Overall it was a great trip. An adventure which my husband and I both really enjoy. We were reminded of how much excess we and all Americans have and Im currently looking for more ways to minimize my carbon footprint. We tested the limits of our toddler (and found them) but he also surprised us many times with his patience and new skills and abilities. We were stretched as a family and it brought us closer.